BUFFALO, N.Y. -- U.S. Attorney James P. Kennedy, Jr. announced today that Larry Willis, 33, of Buffalo, NY, who was convicted following a jury trial of possessing crack cocaine with intent to distribute, maintaining a drug involved premises, possessing firearms in furtherance of drug trafficking activities, and being a felon-in-possession of firearms and explosives, was sentenced to serve 210 months in prison by U.S. District Judge Lawrence J. Vilardo. Assistant U.S. Attorneys Laura A. Higgins and Paul E. Bonanno, who handled the trial of the case, stated that between November 2016 and December 1, 2016, Willis and co-defendant Isiah Pierce utilized two apartments inside 70 Henrietta Avenue, Buffalo, New York, to manufacture, package, and store quantities of crack cocaine, heroin, cocaine, fentanyl, and butyryl fentanyl, along with the proceeds from the sale of such substances. To protect their product and their proceeds, the defendants maintained multiple firearms and ammunition within each of the apartments. During the execution of a search warrant in the lower apartment at 70 Henrietta Avenue, officers recovered crack cocaine, three firearms and ammunition, a digital scale with drug residue, packaging material, whisks, spoons, and cutting agents. A subsequent search of the upper apartment uncovered additional amounts of crack cocaine, a mixture of heroin and butyryl fentanyl, three handguns, and numerous rounds of ammunition. 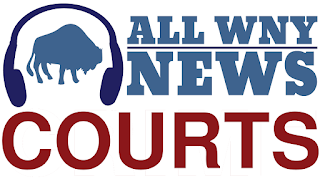 The sentencing is the result of an investigation by the Erie County Sheriff’s Office, under the direction of Sheriff Timothy Howard and the Federal Bureau of Investigation, Safe Streets Task Force, under the direction of Special Agent-in-Charge Gary Loeffert. Isiah Pierce is awaiting sentencing.